Experience : 5 years in the relevant field. 2-3 years in the relevant field if M.B.A. Experience : Minimum 2 years of experience in Civil Engineering Field. Experience : Minimum 2 years experience in IT field. The experience in the field of software development and website designing would be preferred. View Also:GSRTC CONDUCTOR 1997 POSTS & DRIVER 933 POSTS RECRUITMENT NOTIFICATION DECLARED. 1. Kindly fill the form only after going through the Description given above. 2. Only Candidates, who are fulfilling the requisite criteria with completed education, are advised to apply online for the relevant post on or before 21/03/2018 till 11.59 p.m.
4. Non-refundable application fee of Rs 500/- per application for General category candidates and Rs 200/- per application for OBC category candidates shall be submitted through Demand Draft in favour of “Tourism Corporation of Gujarat Limited, Gandhinagar. SC/ST candidates are exempted from this application fee. 5. Applications by post or any other means would not be taken. 6. Equivalent percentage to be filled in the form if the marks are not allotted in the percentage format as perthe rules of the University of Examination. 7. Knowledge of Computer is must. 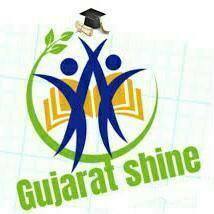 Preference would be given to candidate proficient in English and Gujarati. 8. Candidates have to submit the resume, 2 passport size photographs and self attested photocopies of all the relevant certificates/documents and bring the original certificates / documents for verification at the time of Interview. 9. For candidates of OBC and SC/ST category, it is must to send the scanned copy of the caste certificate with the above mentioned documents. Also, bring the self attested copy of the same for submission and the original for verification at the time of Interview. 10. The candidates employed in government would have to provide No Objection Certificate from his/her employer. 12. Any information provided in the Form, at any stage is found to be incorrect or mismatched due to any reasons, the candidate would not be allowed to appear for the interview even if shortlisted. 13. Recruitment will be on purely contractual basis for a period of 11 months extendable on the basis of performance review.